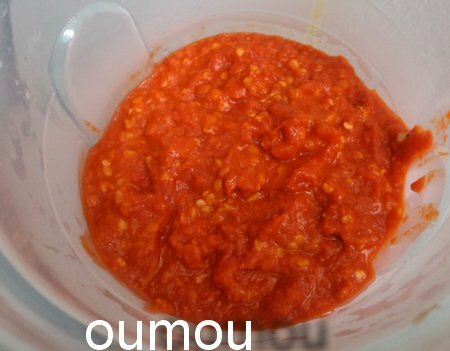 I always keep this chili pepper puree in my refrigerator and serve my meals with it. It is extremely easy to make and can be kept for weeks. In a food processor, add all the ingredients except the oil and blend until smooth. Heat a small skillet, add the oil and pour the pepper puree in. Then cook on extremely law heat for 5 minutes. Once done, let it cool down completely, put in a jar and store in the refrigerator. Serve with all your delicious dishes. A quick recipe of banana plantain, simple and delicious. Koeksisters are sweet and delicious snacks from South Africa. Egg stew is not only quick and easy to make but it is also very delicious. 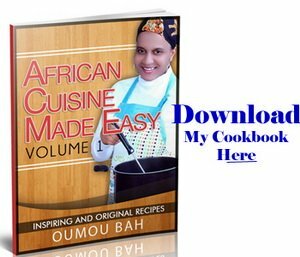 This recipe is going to show how to make jollof rice with meat. Suya or tsire is a west African kebab known as chichinga in Ghana, this is a very popular barbeque street food in many west African. From a list of many central African dishes that I know, this chicken in cumin sauce is one of my favorite. Chapati is a flat, soft and thin bread. It is enjoyed all over East Africa but the recipe.